Westerby Investment Management are advising parents to seek independent financial advice if they plan to separate to help reduce any negative impact on their children, as part of Good Divorce Week (26-30 November 2018). Westerby’s advice comes as a new YouGov poll commission by the Resolution Foundation shows that 79% of the population agreed conflict from divorce or separation can negatively affect children’s mental health, a figure rising to 87% among those who experienced their parents’ divorce as children. 77% said conflict could affect children’s academic performance and a further two-thirds felt social interactions and the ability to form healthy romantic relationships were also jeopardised. Good Divorce Week, led by the Resolution Foundation, aims to provide practical help, highlighting ways for separating parents to put their children’s needs first, as well as calling on government to urgently remove blame from the divorce process. 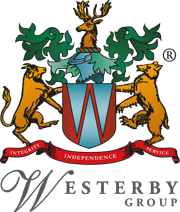 David Santaney, Senior Financial Consultant at Westerby Investment Management explained that while most parents will want to keep a child’s best interest at the forefront during any divorce, the division of assets can often prove to be the most contentious.